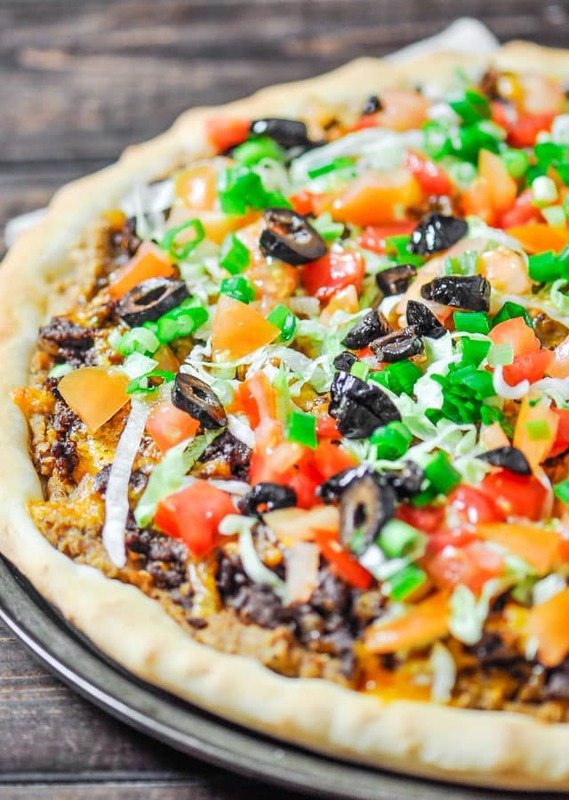 Taco Pizza at home, no more take out, and it’s much better. 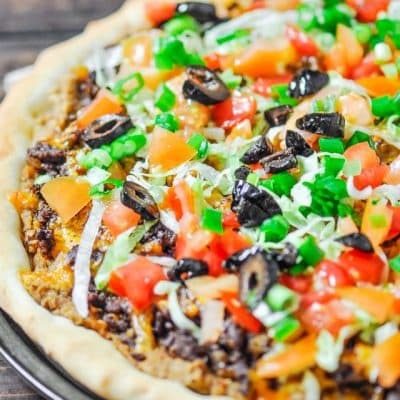 Fresh and healthy ingredients result into one amazingly delicious taco pizza. 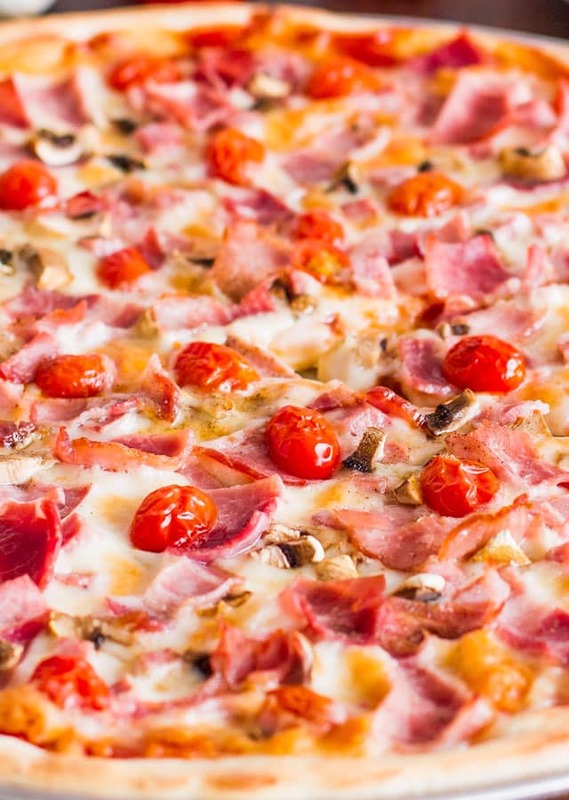 You know what I think of when I look at this pizza? Perfection! Tacos have been on my mind lately, and I wanted one, but I wanted to have a different sort of taco. Since it’s weekend, and pretty much every weekend my husband and I make a pizza, well what happens when you put tacos and pizza together? You end up with taco pizza! 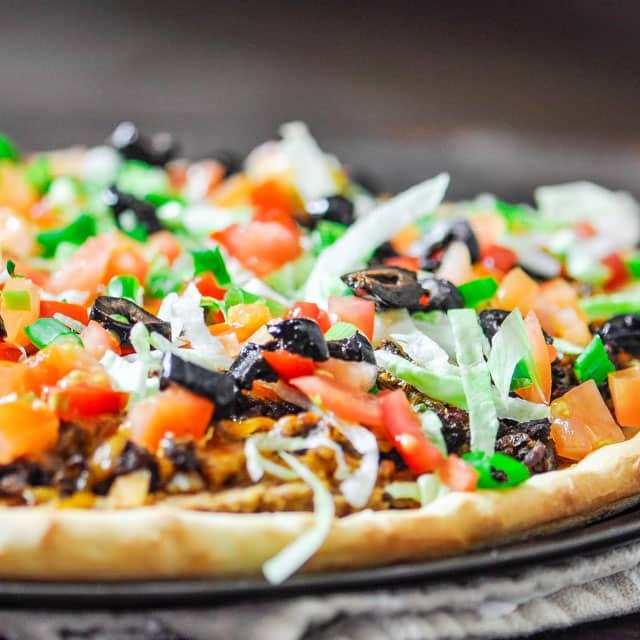 I have to tell you, this taco pizza is brilliant. Seriously brilliant. Ever since we’ve started making pizza at home we never ordered pizza again. 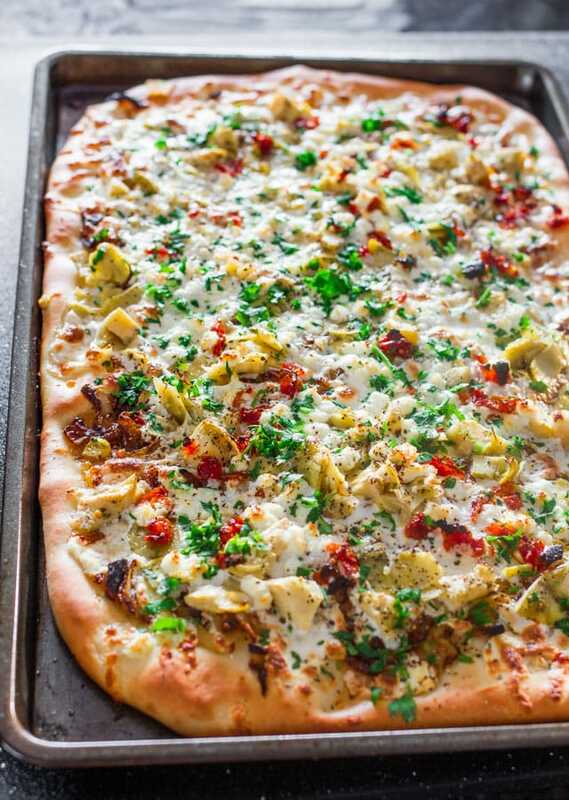 The dough is so simple to make, and this recipe makes enough dough for 3 medium pizzas. The dough freezes great too, so usually I divide it into 3 balls, and I use one and freeze the others, just put them in freezer bags. Then when you want to make a pizza, that morning take the pizza dough out of the freezer and it will thaw out in a couple hours or so. You could also change up the pizza dough recipe a bit, add some herbs to it, some Parmesan cheese, play around with it, try different things, don’t be shy. 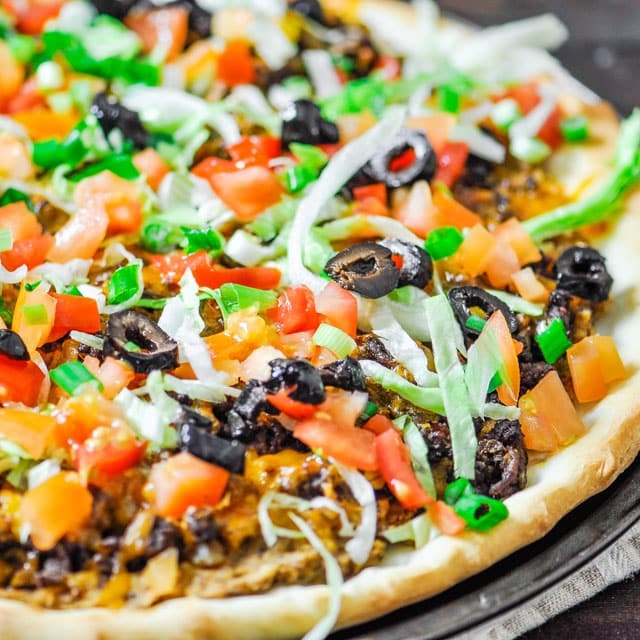 But today I wanted taco pizza, so for taco pizza I needed refried beans, ground beef, some cheddar cheese and all those wonderful toppings. You can buy the refried beans in a can already, I know Old El Paso has the cans. The ground beef was easy to make, just chop up a small onion, some garlic, saute this in a skillet for a min or two then add the ground beef. Add your taco seasoning and just cook until the meat is cooked through. 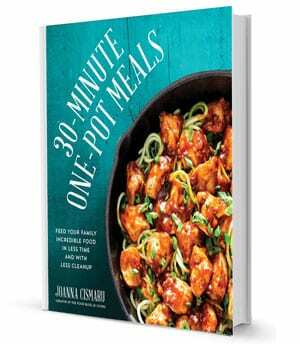 Very simple, and you’ll end up with a very fabulous pizza, your family or guests will be very impressed. I have finally started trying to make my own pizza, and it is was better than buying it, I definitely agree. 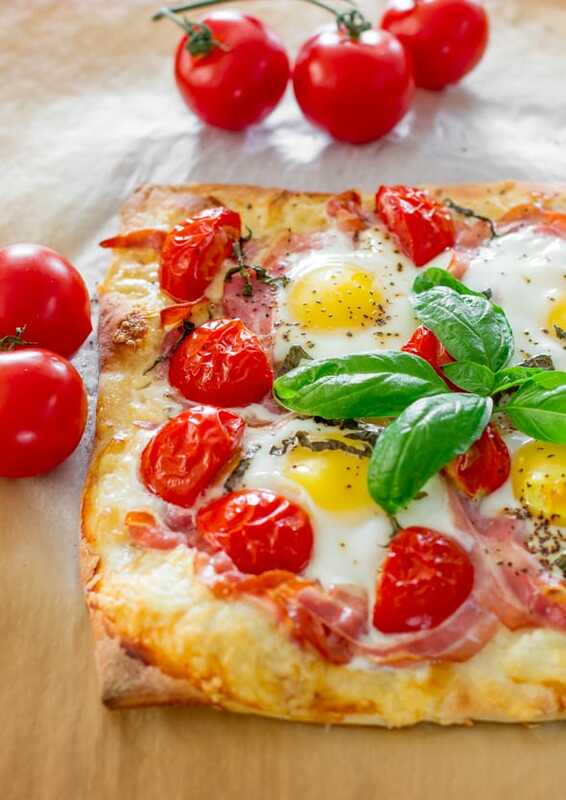 Making your own pizza is so much better, you can put the freshest ingredients on it and you know what goes on it, so much healthier.